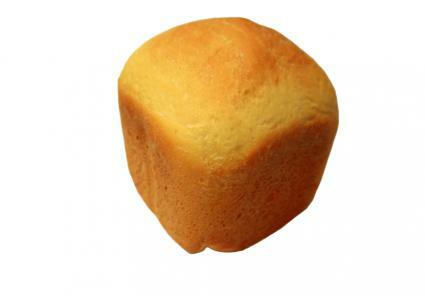 Gluten-free bread can be expensive to buy, and the flavor and texture may not suit all people. Making your own bread at home in a bread machine allows you to customize the flours, tastes, and textures of your bread, while saving you money. To get started, print out these three recipes to try in your bread machine. In a matter of a few hours, you'll be able to enjoy some home baked, gluten-free bread. All recipes are designed for a 1-1/2 pound bread machine. 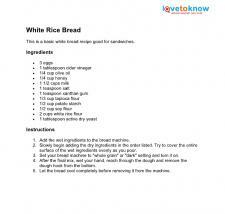 This is a basic white bread recipe good for sandwiches. Add the wet ingredients to the bread machine. Slowly begin adding the dry ingredients in the order listed. Try to cover the entire surface of the wet ingredients evenly as you pour. Set your bread machine to "whole grain" or "dark" setting and turn it on. After the final mix, wet your hand, reach through the dough and remove the dough hook from the bottom. Let the bread cool completely before removing it from the machine. This heartier bread has a chewy texture and crusty top. Add the wet ingredients to the bread maker. Add the dry ingredients in the order listed. Set the bread machine to "whole grain" or "dark" setting. After the final mix, wet your hand and remove the dough hook from the bottom of the dough. Let the bread cool completely before removing the loaf from the machine. 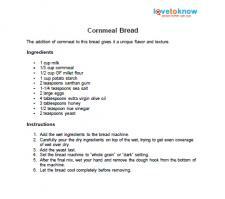 The addition of cornmeal to this bread gives it a unique flavor and texture. Carefully pour the dry ingredients on top of the wet, trying to get even coverage of wet over dry. After the final mix, wet your hand and remove the dough hook from the bottom of the machine. Let the bread cool completely before removing. This recipe uses buckwheat - an herb - as its base, which gives the bread a slightly sweet, nutty taste. Some tapioca flour gives the bread the texture of many gluten-based breads, while the coconut milk adds a rich, dense flavor. Pour the liquid ingredients into the bread maker in the order listed. 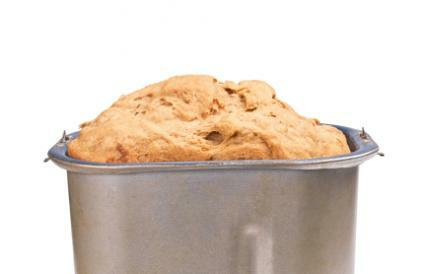 Carefully pour the dry ingredients into the bread maker onto the wet ingredients. Try to cover the surface of the wet ingredients completely, adding the yeast last. Set the machine to "dark" or "whole grain" setting. Do not be alarmed if the dough does not seem to be rising; some buckwheat flours do not rise without significant heat. Your bread will rise as it bakes if it does not do so during the traditional "rise" times. These times are still necessary, however, to let the dough "rest" between kneading; do not skip ahead to baking if your dough does not appear to rise. After the final "rise," wet down your hand and pull the dough hook from the bottom of the machine. Smooth down the top of the dough. Bake until golden brown and allow to cool before removing from the machine. This bread works beautifully for sandwiches, toast or eating still warm and spread with butter and jam. It can also be modified for a number of other uses. Rolls: Set the machine to manual and pull out the dough after the last rise. Drop it by the tablespoon onto a greased cookie sheet and bake at 375 degrees for 30 minutes to get buckwheat rolls. Buckwheat Walnut bread and rolls: Set the machine to manual and pull the dough out after the last rise. Add 1/2 cup of walnuts and an extra tablespoon of honey to the dough. Mix well and pour into a bread pan. Allow to "rise" one last time; then bake at 375 degrees for 30 to 35 minutes or until golden brown. Use all ingredients at room temperature whenever possible to help them combine well. Don't worry if the bread does not seem to rise right away; some gluten-free flours only begin to rise during the higher heat generated during baking. The bread will still rise and turn out fine, even if it takes longer. Swap starch for starch and grain for grain. Many ingredients can be substituted for one another. 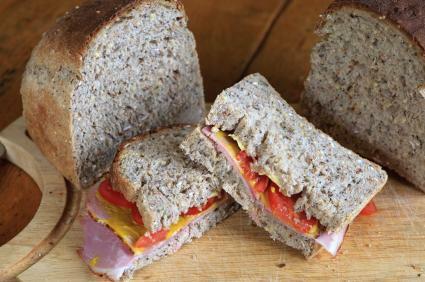 Just make sure you don't replace a starch with a grain or vice versa to ensure the bread turns out well. Getting the perfect loaf of gluten-free bread is an art form. 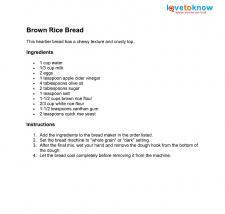 Each bread machine and recipe will interact differently, so try all of these recipes and make modifications as needed. In time, you'll be sure to discover a recipe that is perfect for your tastes.